Just as the name implies, a best marine cooler is one you will find out on the open water. There are several things that you will want to look for in your marine cooler, in addition to long ice retention times. The first is being rust resistant, the second is an ability to withstand the elements out on the open water, and the third is an ability to resist odors and smells that could be caused by the fish you catch and store in it. As there are many boats and different sizes out there, there are also a wide variety of marine coolers as well. What may work for some, may not necessarily work for others. We’ve taken a look at, and researched some of the best marine coolers so you don’t have to. Here’s a closer look. 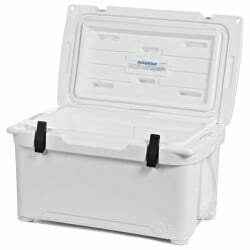 .In sizes ranging from 25 to 162 quarts, you’ll be sure to find a cooler here that can fulfill all of your boating needs. 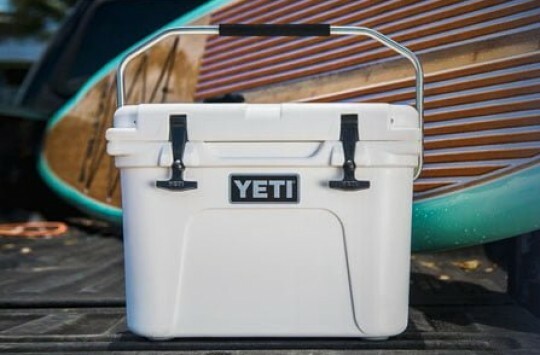 Whether those needs have you as a one man fisherman or with several friends on your next adventure out on the water, you’ll be sure to find the cooler that will fill most, if not all of your needs. With stain and odor resistance, as well as UV resistance, the Igloo Marine Cooler (available here on Amazon) can be a nice addition to your next fishing trip. Some users have mentioned that the latch leaves a bit more to be desired, but another user mentioned liking the lid and its functionality. The user noted that the lid is hinged to the body so it will stay put, and also said that the wire cable attaching the lid to the body of the cooler ensure that not only will the lid stay put, but won’t open to too much of an extended angle. Perfect for that boating trip that may bring some bumps in the water. .The Coleman name is one that many have come to trust when it comes to the outdoors. The lineup of Marine Coolers here certainly won’t disappoint. With a variety of sizes to choose from, you can go as small as 28 quarts to as high as 150 quarts. Just to give you a better idea of size, the 100-quart cooler can hold more than five cases of soda. The Xtreme 5 Technology will ensure that ice can stay up to five days. Some models also offer wheels for easier transport. Along with UV protection and additives to stop the growth of bacteria, this marine cooler can fill most boating needs. 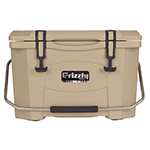 The 100-quart version of this cooler has many raving fans. Many of the users have reported ice retention times well within the manufacturer’s claim of five days. One user also stated that it was actually close to seven days with frozen ice still floating in the bottom of the cooler. One user also mentioned that the Coleman outdid other coolers at a party, as after two days all other coolers held cool water, while the Coleman still had ice. With ice retention times like that, you’re boating adventures will surely be a success. 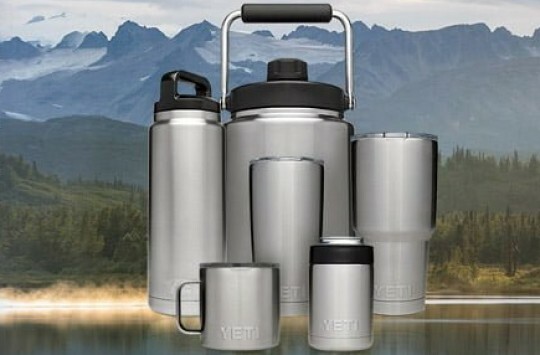 .Ranging from 50 to 150 quarts is the Yukon Cold Locker Cooler. 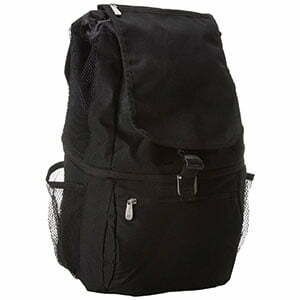 Just as the name implies, this cooler functions like a cold locker. The lid comes complete with a measuring tool so your friends will never again over exaggerate about how big that fish REALLY was. Textured work surface on the lid make any kind of work (cutting fish, food or bait) much easier as you navigate the choppy waters. Several inches of insulation will ensure that contents stay as cold or as frozen as possible on the open seas. Many users expressed the superior ice retention times that you’ll get with the Yukon Cold Locker (check it out on Amazon). Some even stated that it outdid several higher priced coolers on the market. Want a kicker that just sounds RIDCICULOUS? One user ran a test and left ice in the cooler for quite some time, checking in on it every day. Results? Small layer of ice still left after…three weeks. 21 days. Now THAT is ice retention. If you will be out on the water for weeks at a time, then this may be the cooler you want. Now, you may not get that many days out of it, but even a week with ice would be tremendous. With too many sizes to even list, we are certain that you will be able to find the cooler to fit your next boating adventure. In colors such as white or tan, and even with a camouflage lid, Engel’s boating cooler (Amazon link) will definitely fit right in. Two-inch walls make ice retention a priority, while a pitched floor make self-draining of the water a breeze. 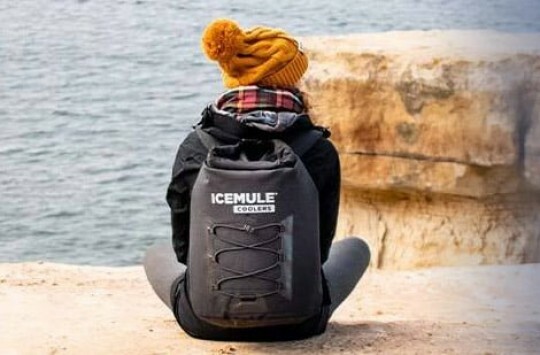 Many users reported long ice retention times, which is really what you are looking for, especially if you will be out on the water for days at a time and need to store food, AND the fish you will be catching. How Do You Choose The Best Boat Cooler? Now that you have had a chance to look at the best marine coolers out there, all that is left is for you to choose. Quality is of utmost importance and as mentioned earlier, you want something that can resist the elements and one that can resist odors. Alongside of that, you want something durable that can stand up to you standing on it or cutting fish or bait on the lid. In essence, you want top quality, not something cheap that may break the first day that you are out on the water. The coolers listed here are certainly top quality, so all that’s left is to decide which one to get. So, how do you choose the best boat cooler? Here are a few tips. If you have a one-man kayak, then you definitely don’t want something too big. However, if you will have several people on your boat for a few days that will need to eat and will be fishing, then you definitely want something on the larger side. 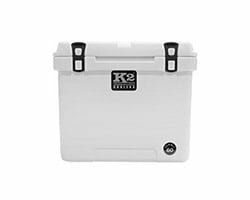 If the fish you are expecting to catch is on the larger side, then you definitely can’t go with a small 25 quart ice chest. Some boaters and fisherman only plan on being out for a day at a time, while some die-hard fishermen are out for days and some several weeks at a time. In this case, you’ll want something that will last the long haul with blocks of ice. Rotomolded extreme coolers are what you’ll want to take along with you. The Igloo Yukon Cold Locker is the perfect example. Being out on the water can feel like you are constantly moving up and down, throw in some choppy waters and it can get downright dizzying. If you will be on the open seas in water that will leave you constantly holding on to something to stay balanced, then you may want to consider an ice chest with a wide base and solid feet. 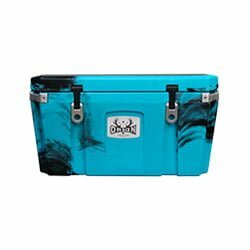 A cooler like the Engel DeepBlue here fits the bill. Marine Coolers – What’s The Bottom Line? Although we’ve shortlisted our best picks here in this post, we generally recommend you take a look on different coolers on the market (Amazon seems to have plenty of different options available) and choose the one that will fulfill all of your specific needs. After all, the best marine cooler for your next boat trip will be the one that best suits your needs. We did our best to help you but decision is now yours.